Are You Jacob Sartorius' Dream Girl? 1: What is your hair color? 2: Do you bite your nails in public? 3: Where would be the best place to have your first date with Jacob Sartorius? 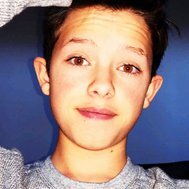 4: Do you like Jacob Sartorius? 5: What year and age do you think is appropriate to get married?